Rabbi Moses Ben Maimon, Maimonides – Rambam, 1135-1204 is recognized as one of the greatest Jewish thinkers of all time. Rabbi Menachem M. Schneerson said in 1991,one of the ways to prepare ourselves and the world for the imminent coming of Moshiach, was to study and practice the works of the Rambam. Moshiach is the best life, anyone can hope for. The rules and laws,Maimonides sets forth is a guide for every human being. The following words are exclusively from the actual laws written by the Rambam – Maimonides and some practical lessons we can draw from them in our daily lives. Nothing less. Divorce her, if you hate her. The following ruling applies when a man rebels against his wife and says, "I will support her and provide her with her subsistence, but I will not be intimate with her, because she has become loathsome to me." He must increase her ketubah-marriage contract, by the equivalent of 36 barleycorns worth of pure silver each week. They may remain married without engaging in relations for as long as she desires. If she does not desire to remain married, she may ask the court to compel him to grant her a divorce. …..the prerogative is hers whether to remain married or whether he must divorce her and pay her the money due her by virtue of her ketubah-marriage contract.. Although her ketubah-marriage contract continues to increase, her husband also transgresses a negative commandment, for [Exodus 21:10] states: "Do not deprive her of her... conjugal rights." If the husband hates her, let him divorce her; causing her anguish, however, is forbidden. is in itself something positive. A person who has to enter a synagogue to call a child or his friend should enter and read a portion of the written law or relate a teaching of the oral law and then call his friend, so that he will not have entered a synagogue for his personal reasons alone. "Happy are those who dwell in Your house." It is a well-known and clear matter that the love of God will not become attached within a person's heart until he becomes obsessed with it at all times ……... This was implied by the command [Deuteronomy 6:5: "Love God, your Lord,] with all your heart and all your soul. One can only love G-d as an outgrowth of the knowledge with which he knows Him. The nature of one's love depends on the nature of one's knowledge! A small amount of knowledge arouses a lesser love. A greater amount of knowledge arouses a greater love. Therefore, it is necessary for a person to seclude himself in order to understand and conceive wisdom and concepts which make his creator known to him according to the potential which man possesses to understand and comprehend …………………. Very strong words, against supporting a crook. It is forbidden to buy a stolen article from a thief. This is a severe sin, for it reinforces a transgressor and motivates him to steal in the future. For if he did not find a person who would purchase a stolen article from him, he would not steal. With reference to this, Proverbs 29:24 states: "A person who shares profits with a thief, hates his own soul." Happiness is superficial self-serving, ego, tiring and depressing. How does serving G-d properly for the right reasons, have anything to do with happiness, meaning, and depression? Everyone is looking for happiness, but maybe, they aren’t looking for it in the right places? Happiness is superficial and fleeting, self-serving, triggered by ego and ultimately, tiring and depressing. Once the laugh and the pleasure are over, it’s over and the hunt is on again. Meaning and purpose is motivated by a deep and long lasting added value to existence. Purpose and meaning to life is outward directed, while happiness is self-serving, selfish and egocentric. It’s the entire mentality to live for and seek happiness, whether it’s in love or anything else, that’s faulty. 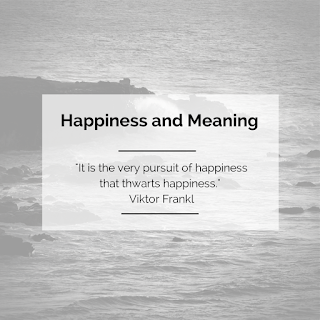 People who are looking for happiness are driven by what they feel they want, need and are therefore lacking. I do the things that bring ME joy. I get married because I see something in my partner that will enhance MY life. I take a job with this company because at this time in life I feel this is what will help ME receive what I am after. The problem with this attitude is that as our sages tell us, “any love that is based on a consideration, once the consideration dissolves, so does the love.” She was beautiful when I married her, but is no more today, time for a change. Besides the consideration for love that will most likely sooner or later change, right from the start I don’t allow for a real bond and relationship with the other, since to begin with, it was never the other that was ultimately my focus. It was ME who can acquire what “I” want at this time through the features I see in the other. Things are constantly changing and therefore I need to be prepared for this eventuality. I will live with the stress, worry, and anxiousness, at the very least in the back of my mind, even while trying to enjoy the moment. As things keep on changing and the prize for self-serving happiness needs to be once again reconsidered and found, a person is under more stress and anxiety and depression in a state of uncertainty. Once a chossid came to his Rebbe with a personal question. “Why was life a constant struggle?” This chossid found no solace from the many other people he consulted with, until he was told by his Rebbe. “The purpose of life, is to serve.” It isn’t necessarily in reaching anywhere in particular or being served. The journey, the serving, is the purpose. Sit back relax and enjoy the going, the journey. People who have an overarching purpose for life, for marriage, for employment, see themselves, as the reason to fulfill this purpose and goal. Life, is about offering themselves to fulfill the purpose, life is best spent becoming a part of this greater existence, it’s about serving. It’s about dedication. It’s about commitment and loyalty to the purpose. People who discover their purpose and live to fulfill their raison d’etre, are always adding psychological and real value, to their existence. Their purpose, is their meaning, and explanation, for everything. These accomplishment are there, and always getting stronger, more and more even if at the moment they are encountering difficulties. The difficulties itself, many times, are enhancing their purpose and meaning for life. The definitive way to serve G-d, the Torah tells us, is to do so out of obedience. We serve, because G-ds told us to serve. If we only serve because it makes sense to ME, we aren’t in a relationship with anyone but ourselves. We are small and constantly needing to reassess and change. Life is unpredictable and trying. We are all alone. If we serve because that’s what makes Him (G-d), happy, no matter what the object of service happens to be, we’ve become connected with a much bigger force. 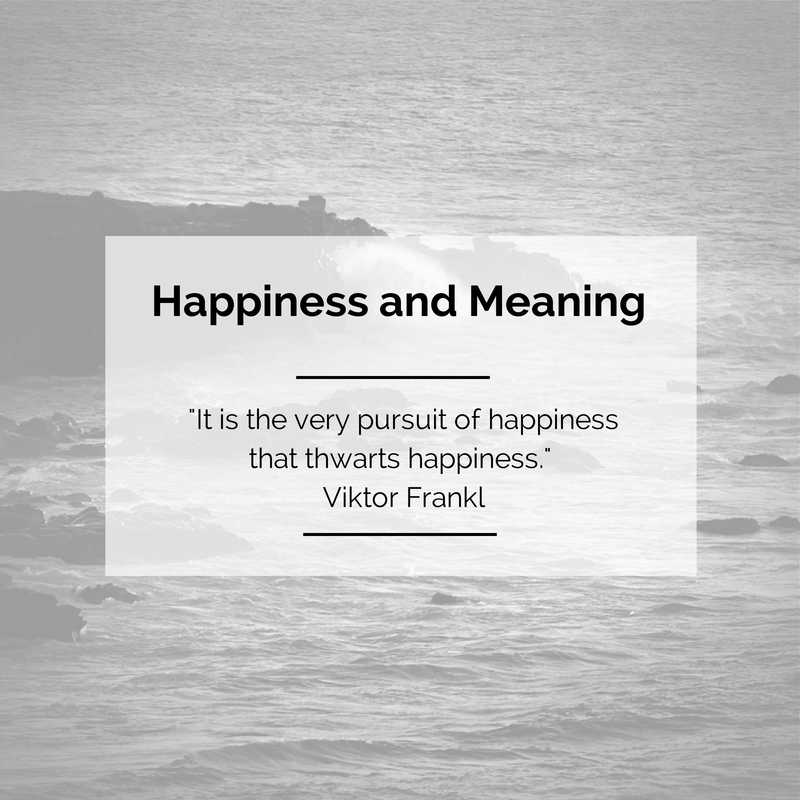 In fulfillment of meaning and purpose comes the deepest happiness which is constant and always there. Article on Linkedin & comments. Knowledge is Power – G-dly knowledge, is SUPER power. Rabbi Moses Ben Maimon – known as Maimonides, 1135-1204 was a philosopher, astronomer, and one of the most prolific, influential Torah/Bible scholars and physicians of the Middle Ages. Maimonides codified all of Bible Law. The Bible, is not only the word of G-d, it is also the blueprint from which G-d created the world. Being aware of the law, as it is in the Bible, gives one the ultimate control from this blueprint, over life. Maimonides was not only then, “The” guide for the perplexed, he is revered and respected to this very day, as the light that shines down on all of our paths. The following, are some practical life lessons derived exclusively from the actual words of Maimonides Laws. Maimonides develops a fundamental principle in the service of G-d. In contrast, anyone who lowers himself and thinks lightly of his person in these situations is truly a great person, worthy of honor who serves G-d out of love. Thus, David, King of Israel declared [II Samuel 6:22]: "I will hold myself even more lightly esteemed than this and be humble in my eyes," because there is no greatness or honor other than celebrating before G-d, as [II Samuel 6:16] states: "King David was dancing wildly and whistling before G-d."
A serious matter of concern. Large age differences between a man and a woman. What does the law of the Levirate marriage entail? The widow goes to her brother in Laws place of residence, and approaches the judges. The Judges speak to him, and give him advice that is appropriate for him, and for her. If the appropriate advice is for them to perform the levirate marriage, they advise him to perform it. If the appropriate advice is for them to perform the Bible alternative of separation - e.g., she is young and he is older, or she is older and he is young - they advise him to perform this biblically mandated separation service. ……A young man should not marry an elderly woman, nor an elderly man, a young woman, for such conduct leads to promiscuity. One of the reasons offered by the commentators is that. We assume that the difference in age will lead to a lack of sexual harmony and cause the man and/or woman to seek fulfillment outside of marriage. Prayers are for future events – acceptance and gratitude for the past. A person who goes to measure his silo should say, "May it be Your will, G-d, our Lord, that You send blessing to the work of my hands." When he begins to measure, he should say, "Blessed be He who sends blessings to this heap of grain." If he asks for mercy after measuring his grain, his prayer is considered to be in vain. Similarly, whoever calls out to G-d over events that have already happened, is considered to have uttered a prayer in vain. What’s interesting, is that as long as one did not yet measure the grain, although it is in front of him, one can still pray for a blessing in the grain. This explains why some people don’t count exactly how much money they have, or what the actual gender of the baby is, before birth. As long as one doesn’t know, they allow G-d to work His wonders. Honoring ur wife more than urself...Peace rules.. If you like the following idea, please send me a note to rsezagui@aol.com. Knowledge is power. G-dly Knowledge, is super power. 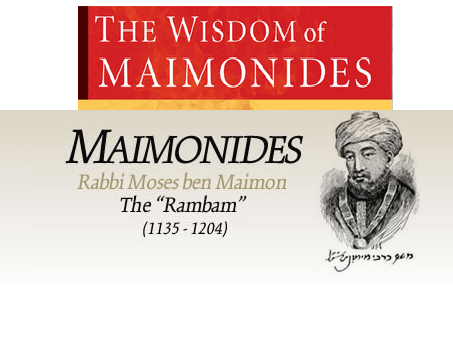 For the next couple of many weeks, I will be sharing with you, the most powerful knowledge, directives, guidelines, and good advice, EXCLUSIVELY from the words of the Rambam- Maimonides, one of the main pillars upon which current Jewish law and present day Jewish practice, is based on. You will be pleasantly surprised to know that for thousands of years these are Jewish values. The following information, you may never have known existed in our Jewish heritage. 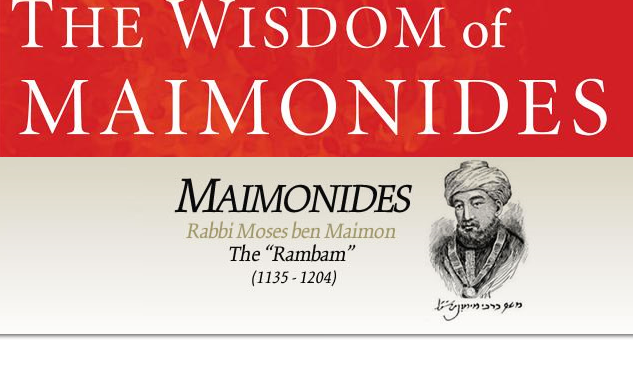 Everything the Rambam -Maimonides writes has its roots in the Torah/Bible. I am sure that this info. will enhance, enrich and deepen your appreciation for life. It will put you in the driver’s seat to reach the best, life has to offer. Moses Maimonides, Rambam, was a preeminent medieval Sephardic Jewish philosopher, astronomer and one of the most prolific and influential Torah/Bible scholars and physicians of the Middle Ages. He was born in Córdoba (present-day Spain), Almoravid Empire on Passover Eve, 1135, and died in Egypt on 20 Tevet - December 12, 1204, whence his body was taken to the lower Galilee and buried in Tiberias. He was a rabbi, physician, and philosopher, mainly, in Morocco and Egypt. Although his writings on Jewish law and ethics were met with acclaim and gratitude from most Jews, even as far off as Iraq and Yemen, and he rose to be the revered head of the Jewish community in Egypt, and personal physician of the Sultan, there were also vociferous critics of some of his writings, particularly in Spain. But, he was posthumously acknowledged to be one of the foremost rabbinical arbiters and philosophers in Jewish history, and his copious work comprises a cornerstone of Jewish scholarship. His fourteen-volume Mishneh Torah from which I will derive the wisdom shared with my dear readers, carries significant canonical authority as a codification of Torah/Bible and Talmudic law. Aside from being revered by Jewish historians, he is also very prominent in the history of Islamic and Arab sciences and is mentioned extensively in the studies. He lived to become a prominent philosopher and sage in both the Jewish and Islamic worlds. In his Introduction to his Magnus opus, the Rambam writes; The intent of this text is that a person will not need another text at all with regard to any Jewish law. Rather, this text will be a compilation of the entire Oral Law, including also the ordinances, customs, and decrees that were enacted from the time of Moses, our teacher, until the completion of the Talmud, as were explained by the Rabbis in the texts they composed after the Talmud. It is my intention to share with you, a serious serving/dose of this very practical and G-dly knowledge. It’s more important to preserve/secure peace than to be right. If a person has the opportunity to fulfill only one of two mitzvot, lighting a lamp for one's home on Friday eve so he isn’t sitting in the dark with his wife i.e., Sabbath candles, or lighting a Chanukah lamp, when the two come at the same time, - or, alternatively, lighting a Shabbat lamp for one's home or reciting Kiddush, the blessing made over wine on Friday Eve. required by one the Ten Commandments, to sanctify the holy day of Shabbat - the lamp for one's home receives priority, since it generates peace within the home. Peace is of primary importance, as reflected by the mitzvah, requiring God's own name to be blotted out, to create peace between a husband and his wife, in the case of a woman suspected of adultery. Peace is great, for the entire Torah was given to bring about peace within the world, as [Proverbs 3:17] states: "Its ways are pleasant ways and all its paths are peace." The above is a direct quote from the Rambam. Here is one more. Husbands honoring their wives. Wives honoring their husbands. Our Sages commanded, that a man honor his wife more than his own person, and love her as he loves his own person. 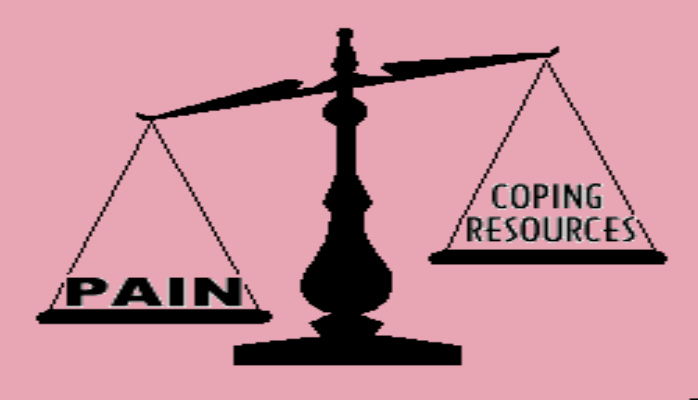 If he has financial resources, he should offer her benefits in accordance with his resources. He should not cast a superfluous measure of fear over her. He should talk with her gently, being neither sad nor angry. And similarly, they commanded a woman to honor her husband exceedingly and to be in awe of him. She should carry out all her deeds according to his directives, considering him to be the leader and head, in the house. This is the custom of holy and pure Jewish women and men in their marriages. And these ways will make their marriage pleasant and praiseworthy. Could you imagine if men honored their wives more than their own selves? And wives honoring their husbands exceedingly? Y did he take his own life? Y? Is there any wonder they feel empty and depressed and end up with no reason to live? I was invited to hear the heart wrenching, 6 month speech, after the suicide of an only son who was 16 years old, given by his mother. Very much still grieving and raw, she did a valiant job expressing her grief and efforts to move on forward. This is pretty much the worse scenario, a person can be put in. Her frame of mind, emotional healing, and faith in G-d is remarkable. So what is my beef all about? Let me first tell you the way I see it. Can you imagine people enjoying the fun of their life, food galore, drinks to no end, entertainment that is so good it already hurts, and on and on. A few days or weeks later some of the party participants get terrible stomach cramps and maybe one or two die. At the eulogy and in the hospital where so many are hurting they all reminisce the fun and good times they all had, and as if in a drunken stupor wish for the time they will return back again to all that fun. Not one person ever considers, maybe, just maybe, it was those “good times” that precipitated the deaths and the pain. She was against the stigma that goes along with suicide, and therefore insisted it should be mentioned in his obituary. It was Ok for him to choose, his own path to heaven. ( I have no idea what that means.) The mother lamented the stigma that goes along with mental illness and mentioned the many other parents who offered their condolences by sharing with her the fact that their own loved ones also took their own lives, but asked her not to share that with others. She knew her son had depression issues and made every effort to address that, but he had a loving girlfriend. He was always the life of every party. This mother was happy that although she was six months estranged from her husband, he was there in protective mode when this terrible tragedy took place. Now, take all that the mother said, while both lamenting and ruminating her current condition, from the mouth of an upper middle class woman, with the example I gave earlier. Not everything done at the party is or was harmful. However, when the whole picture comes together which is pretty much the lifestyle of middle class children, is there any wonder why many times the party ends abruptly with pain and heartache? And, this is the lifestyle promoted by our society. This is normal!! How about growing up in a home where children see loving parents who are an example of getting along together. Parents who live a life that show children, when possible more than one child, what it means to live a life with a higher purpose, more than (for the most part) just self-gratification. How about children, who leave the distraction and many times rejection and heartache of girlfriends for later on in life and focus more of personal growth, so they will have the knowledge and tools to deal with those types of relationships, in its proper time. How about children who are protected from the violence and immorality of a corrupt and degenerate television and are inculcated with the knowledge of a higher existence and a G-d that is worshiped, more than just money and fun. Every good deed matters, every day matters. Our choices have consequences and we have a moral code that has worked for thousands of years. While these children have trips around the world and all kinds of fun imaginable, they grow up in an empty debauched environment. Full of mental, emotional, and spiritual emptiness and worse. Is there any wonder they feel empty and depressed and end up with no reason to live?